"The author has a unique writing voice that is charismatic and passionate while being incredibly sincere and profound at the same time. One-of-a-kind observations and descriptive language fill the pages. He draws from his amazing life experiences, both painful and joyful, to create this magnum opus of a collection of prayers. The breadth of topics covered in this volume alone are astounding, making it a resource that believers from all walks of life and backgrounds can consult and treasure as a part of their devotional time with God. Above all, the author’s vision of pointing readers to daily reliance upon God as God rather than ourselves is a refreshing theme throughout the book." "Charles, your work is truly unique!...your thoroughly humble and vulnerable author “voice” (highly relatable!) and the basic teaching that comes through about who God is and how we can relate to him. In a sense, you have modeled how to bring all our thoughts and feelings and challenges and experiences before the Lord, and I sense that this is a deep need for believers today—to learn how to be in prayer with God." "This reader friendly treasure brings life to my morning devotions. Wagner writes each prayer like a personal conversation with God. There are so many nuggets of thought provoking topics like daily challenges, adversities, God’s purpose for us, faith, making kingdom changes, forgiveness and relationships. He is candid about tough questions we all have about God and writes with real sensitivity from the heart. This book is to be savored and pondered upon." "Take Every Thought to Prayer invites us to believe that God is listening and cares about each one of us. Wagner writes “It is my prayer that this book will encourage you to enjoy a deeper and more fulfilling prayer relationship with your Father in Heaven.” Thank you Wagner, it does!" "This book will help you gain comfort in speaking to the Lord. It draws you into a deeper relationship with him knowing he is with you and supporting you through all circumstances!" "Wagner hits on all cylinders! Our relationship with Christ is about having intimate ongoing conversations with God. Prayer is listening and sharing our heart with God...and He loves to engage with His children in this way. Charles Wagner is right when he says that we are to "Take Every Thought to Prayer" as it puts God at the center of literally everything. Thanks for writing a powerful book that takes me into a deeper and more intimate relationship with the Living God." "It reads so easily. It is a topically written book on prayer so you can pick it up and read a chapter or topic which if most helpful. It's a keeper. Thanks very much for this book." "This book has alot of depth. It is certainly something that can really change lives. It flows beautifully. Impressive." "Honestly, my first thought was that someone might be reluctant to buy the book if they have only 1 or 2 prayers relevant to their unique circumstances. However, as I read the book, I was fascinated. There were a whole bunch of prayers applicable to me. It struck me. They connected with me. I was like "wow!" I didn't expect the book to connect with me personally but it did. I can certainly see pastors and elders using this book counseling people. You have a gift. This is very well written." "Your approach has a valuable collection of prayers and ways to get started in prayer. It's a book you can go to for a particular problem in life. It will be a blessing to those in need." 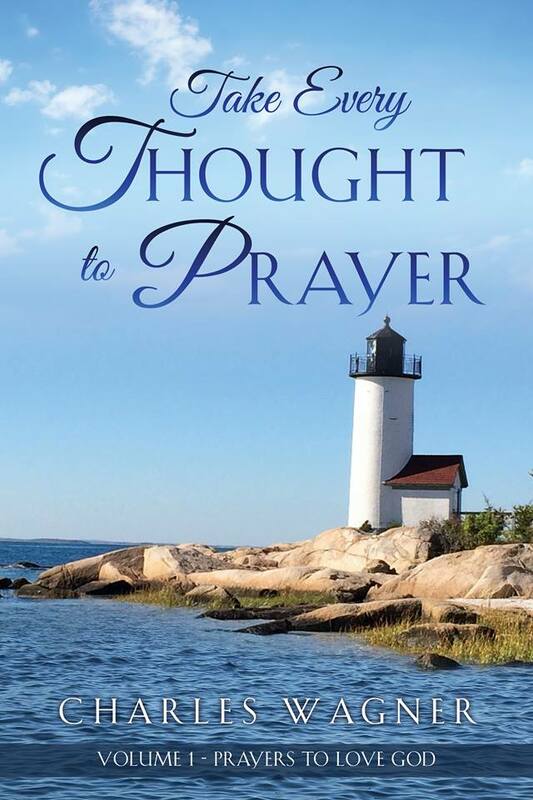 "In a time when the country needs some hope, guidance, and love there is nothing better than this prayer book that will encourage and uplift the sad souls. Being able to look at a page on a book that reminds you that everything will be okay is so powerful. Prayers are what holds us together during hard times so that we can grow past it without falling apart. I am a Muslim female, my plan is to get copies for my best friends who are Christian, Hebrew, and Mennonite because we all agree that prayer is the only way that we are still pushing and the greatest gift is a reminder of faith." "It's not the same old - same old. It is interesting reading more in tune with the times. I wanted to keep reading." "The book makes it easy to understand ways to make changes in attitude. Reminds us there is hope for this world and not just heaven." "I certainly believe that you have something here with enormous potential and I hope that it lifts off, that you are encouraged, and that it develops into something amazing." "I loved your intro where you talked about the original sin being that people think they are God. I think this book has the potential to really work in a lot of people's lives. I can see offshoots and sequels like Bible Studies &amp; Sunday School lessons, Devotionals, etc." "I think it is an awesome work, both in the sheer effort and creativity involved, and in the uniqueness of what it is doing and addressing. It could be a powerful witness and perhaps a venue to connect people to the real God of the universe and savior of mankind." "Very impressive. There is great breadth of coverage there. You have explored the spectrum of human experience." "Readers of this book will know they aren't alone." "Your book looks like it might become a classic."